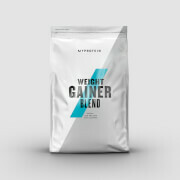 Completely free from soy and dairy, this all-natural blend is packed with essential amino acids and over 22g protein per serving for those training on a plant-based diet. With pea protein isolate, brown rice protein, and hemp protein, our Vegan Protein Blend is a high-protein shake created to help achieve your fitness goals. It’s a great source of BCAAs, too. Your body can’t create these essential amino acids, so must be supplemented. They naturally occur in protein which helps to build and repair new muscle,1 so are a must-have for your training schedule. We’ve also added DigeZyme®: a natural enzyme complex that works as a digestion aid, with more protease than any other on the market. Just add 1 large scoop (30g) to your favourite smoothie or fruit juice, or try our delicious chocolate smooth with water or milk, 30-60 minutes’ post-workout — or any time for a protein boost. Love this stuff. Taste is neutral, (I go for unflavoured for more flexibility when making shakes) but I'll often just mix this with some coconut water and be fine drinking it. For me I prefer the unflavoured / neutral taste, totally non-offensive, even if it has a slight earthy vibe, it doesn't leave me with any nausea or negative reaction. The experience is barely an issue and it only lasts as long as you are drinking it if it bothers you at all. I'm saying it's not completely neutral or unflavoured, but the minute you add a bit of fruit or cacao etc into the smoothie with it. Kaboom, no worries. Compared with other shakes that have all these magical flavours like chocolate covered rainbow sprinkles and then you try the thing and it tastes like someones mixed skittles dipped in chocolate in your shake. Personally I can't handle those fake flavours. Give me some unflavoured neutrality and a banana - bang! Awesome. Love MP products as they give you that flexibility. Enjoy. Oat milk, banana, coconut water, nut butter, spinach etc Whatever you put in your smoothie! I have tried quite a couple of Dairy Free proteins, and always been pushed away by the horrible earthy taste of them. But this one is pretty great. I had the chocolate one, and by far the best dairy-free protein i've (for a reasonable price). I hated the unflavoured one, but the Chocolate Smooth flavour is far better. It will be my go to protein from now on. It's quite sweet but if you mix it with oats or nuts it tastes great. Fruits, non-dairy milk, nuts, berries, oats. Ingredients are great in this product. I picked this because it has no flavours or sweeteners. I always blend into a smoothy with fruits to add flavour. Most plant based proteins are a bit harder to choke down, but this is not too bad, even with water on its own. I usually throw in some frozen blue berries, ice, a scoop of BCAA and half a banana and it is a goo post workout hit of protein. This doesn't seem to work as well as whey (my anecdotal), but better for the planet so it is what it is. 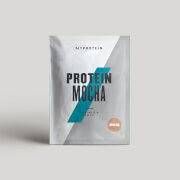 Research seems to indicate an average of 2.6g of leucine is necessary for protein synthesis to occur with a meal but I am unaware of the actual content of leucine per scoop in this Vegan Blend so is best to add some BCAA to make sure you are getting enough, but generally it is thought that 40-50g of soy protein is enough to get that amount of leucine in a serve. An amino acid breakdown on the packet would be worthwhile. Taste is not very good (more sand compare to other brands I tried), mix very well and at the moment is giving me good results. 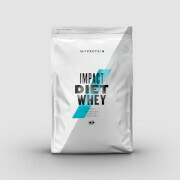 Honestly, there’s no fault in this protein powder - it tastes amazing. Whether you need to just quickly mix it with water, add it to a smoothie or make protein pancakes. Best vegan protein powder I’ve ever had. I have tried plain Vegan pea proteins and this Chocolate is no good, its sweet and yuck and does give one a gassy stomach. I will be sticking to normal whey as legume based proteins are difficult to digest. There should have been milder and richer flavour options.